The bad news is, I will not be along for this year’s ride. I am simply unable to have 8 weeks off this year with a new business just about up and running and some other responsibilities getting in the way. As you can imagine – I am pretty gutted. Most of all, I will be worried about motoguzziman being on his own – how will he cope without his navigator, planner, photographer and patient best friend? We will see. I will be writing the blog for him. Let’s hope he remembers to take photos along the way. At this very moment, he is sitting in the departure lounge of Gatwick airport. His flight departs at 0915-ish. Once in Toronto, an airport bus will take him the 70km to Hamilton. I know he is very tired after sitting in the airport all night so he has promised to have a beer or two and then go to bed rather than make his way to the storage unit to pick up and ride the bike back whilst tired. 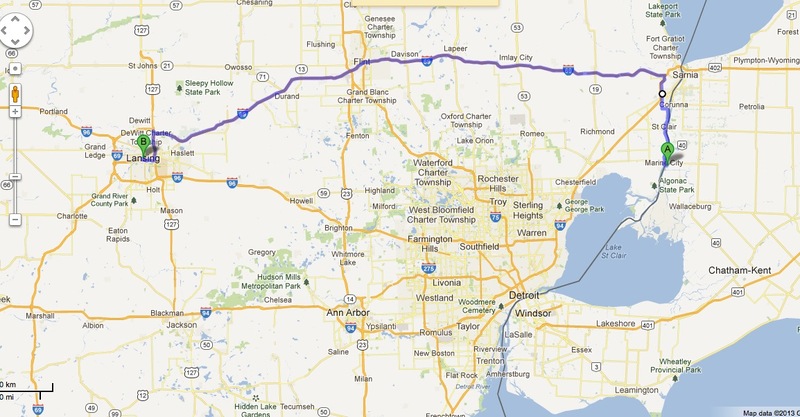 He will have two nights in Hamilton before heading to the USA; he is planning a new route – halfway between the other two routes we have taken previously (Sarnia and Detroit) and using a ferry. 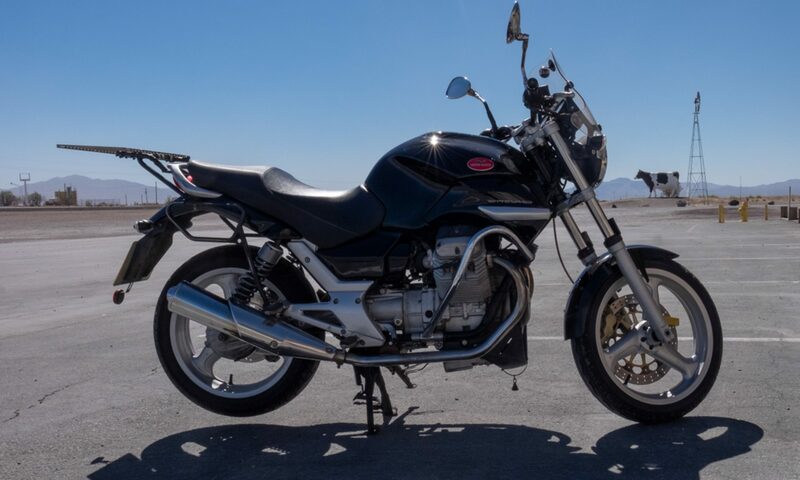 The bike is booked in for a full service and a new tyre so, on Monday, he will be heading to Larry, the Motoguzzi wizard in Lancing Michigan. That will be the beginning of my nightmare time – waiting to hear he is safe at the end of each day’s riding. I hope you will join us on this trip. Above: the route into the USA. You must be gutted to not be going over again this year , look forward to reading his adventures over there! I am totally gutted Si. Can’t believe it. A bit heavy of heart – not so much for missing the trip but for Jan being on his own on the bike. Next PostNext Tired As ….